So often, what children say is heard as cute or funny. But what if we heard those exact same words from adult mouths, in adult situations, would we hear them differently? You can decide for yourself by watching the short trailer for Monkey Bars at the bottom of this post, a wonderful play my children and I saw at the Tobacco Factory Theatre Bristol. Chris Goode, the writer, asked 30 eight to ten year olds all about their lives and feelings and how they see the world. Then he turned it into a play, but with adults speaking the words, in adult situations, which makes us listen in a different way. I found it to be funny, touching and at times unbearably poignant. You could hear so clearly how they were trying to make sense of this mad adult world around them and, through their slightly bewildered picture of it, the ways in which we let them down, both personally, and by failing to make the world a better place. But also, you could hear their pride in who they are, what they do, what they dream of, and their joy for life: simple yet essential things that seemed suddenly unusual in adult mouths. And you wonder: why don’t we really hear what children have to say? 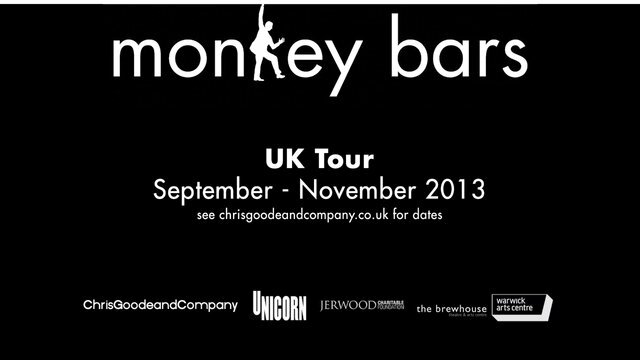 Watch the Monkey Bars Trailer or see the play if you can! This entry was posted in Childhood, Children's voices, Creativity, Parenting by Ingrid. Bookmark the permalink.